So school’s back in full swing and it’s exhausting but rewarding, especially with the knowledge that I’ll be done in less than a year! These glazed nuts make the perfect back to school snack for a pinch of flavor and protein midday and they only take a few minutes to make! Start by combining the sugar, salt, cinnamon, and water in a small saucepan. Stir over medium heat until the sugar is melted, forming a syrup. Then, mix in the vanilla extract. Remove from heat. 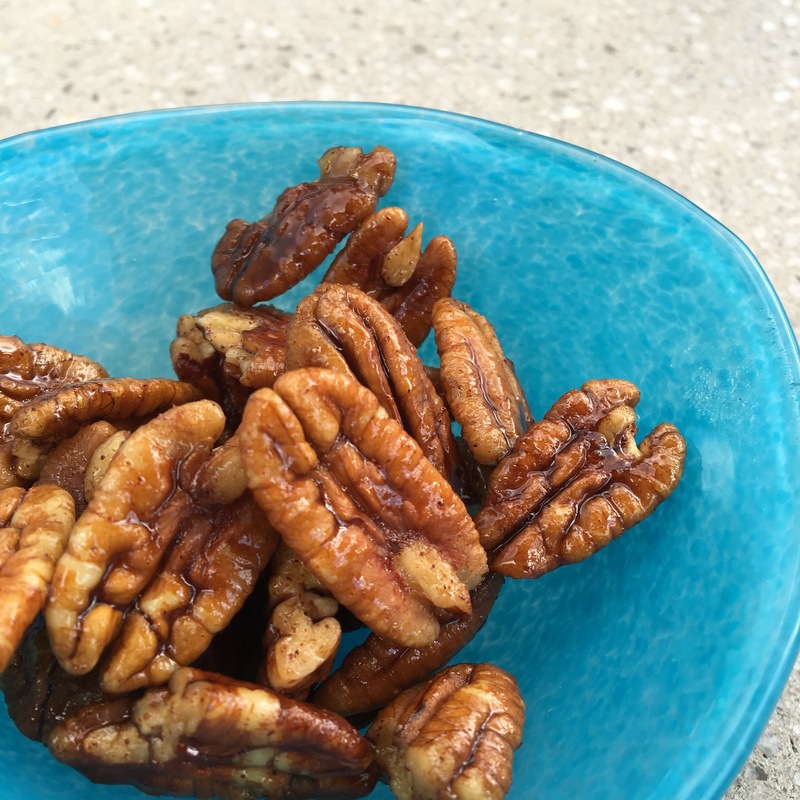 Place your pecans in a small bowl and pour the syrup over them, stirring well. Spread the nuts onto a parchment lined baking sheet and let set for about 2 hours before enjoying!